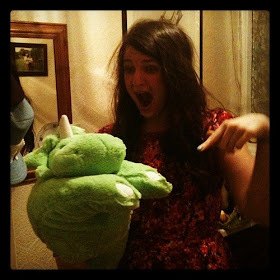 t*rexes and tiaras: My Collectif sale haul.. I'm sure it's escaped nobody's notice that Collectif have been in full sale mode, lately. What started out as 30% off selected styles had me umming and ahhing over which dress was my favourite and I went with this border print one, which arrived a few weeks ago. Fast forward a couple of weeks and they're now offering 50% off all clothing. I couldn't resist the other dresses in my shortlist and I was rather pleased when they arrived. Here's what I picked.. 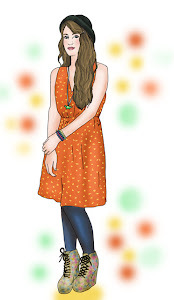 The Jade Seashell Denim Swing Dress is the same style and cut (and therefore fit) of my mountain print Jade dress. 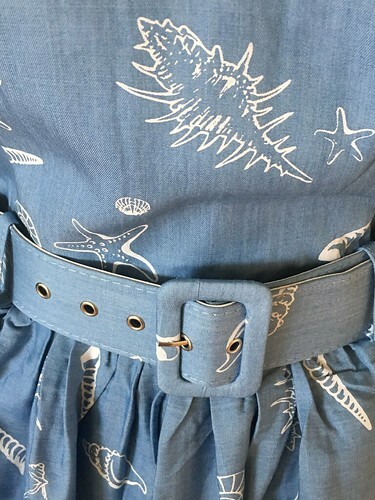 The fabric is a little thicker, being a soft chambray with a seashell print. It's really summery and I'm obviously thrilled with it as I really like the style. I'd already considered the Alpine print Jade a bargain with 30% off but this one was reduced to £30.25 after the 50% code was applied, and I think it's a fabulous dress for the price. 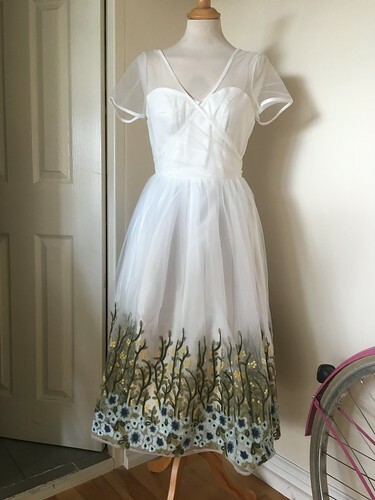 This is the Madison Floral Swing Dress and it's been my favourite thing on the site for a long while now, by far! 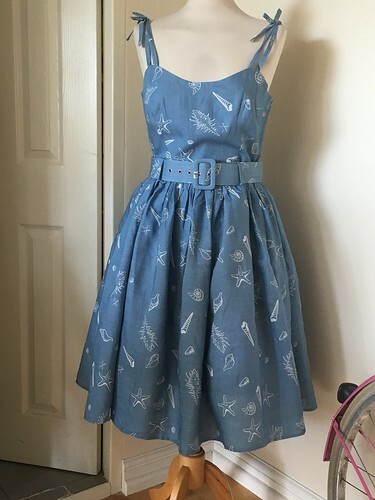 This one was down to £44.80 in the sale, which made it £22.40 once the 50% discount had been applied and that makes it way cheaper than a Lindy Bop dress (or similar). To say that the quality is far superior is frankly an understatement. 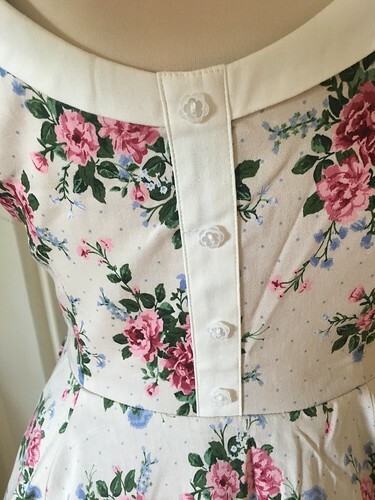 For me, this is the perfect length to wear with heels and I absolutely love the bow detail to the top of the neckline and the faux button effect at the back of the bodice. The print is reminiscent of a duvert set which my Nana had when I was a kid, so I think that's why I was so drawn to it to begin with. My third and final purchase was the Nina Floral Border Swing Dress. A little more expensive (it started off more at a higher price, too), it's also the one I'm least sure about. 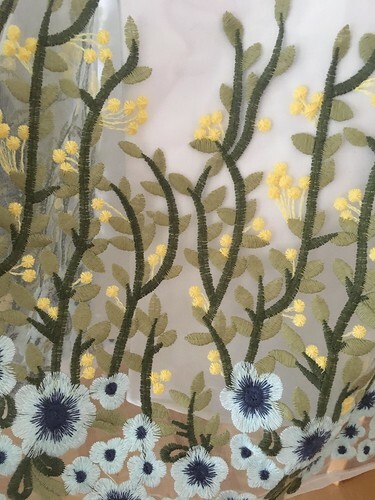 I think because this is predominantly white, but the embroidery (which is amazing) is very summery, so I think that my opportunity to wear it is kind of limited. Plus, I've already got this version of the Nina dress, which is lovely (and is how I know I like the style on me) but is also a white background. So, this one is the one I'm considering whether or not to keep, whilst the other two are keepers for sure. Did you manage to snap anything up in the sale? I did, there weren't as many items I wanted this time as things like the Nina (which is absolutely stunning) I couldn't wear without a bra which would ruin the look of this. I love their 50% off, am hoping they do this again in winter where I tend to get more of the styles. The quality is a 100% better than other shops for sure. I'm liking your choices. 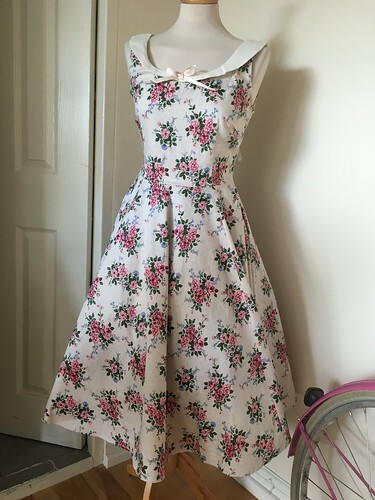 I went into the Collectif Spitalfields and completely fell in love with the Aida Zak Abstract art dress and the navy floral gypsy dress but they only had a 6 or 10 in store, not an 8 which I think I needed as the other two sizes were too small and too big respectively. I was most sad! I really like the top of that Nina dress. Personally it's my favourite of the two. Literally loving all the embroidery around at the moment.